Arch Angel Studios & Xposed Productions Proudly Presents: Hip Hop Showcase #3. The 3rd of a monthly show, this SHOWCASE will be a super crazy Saturday night.. Bringing some of Des Moines area’s rising independent Hip Hop artists under one roof–also bringing some up and coming out of stater’s as well! 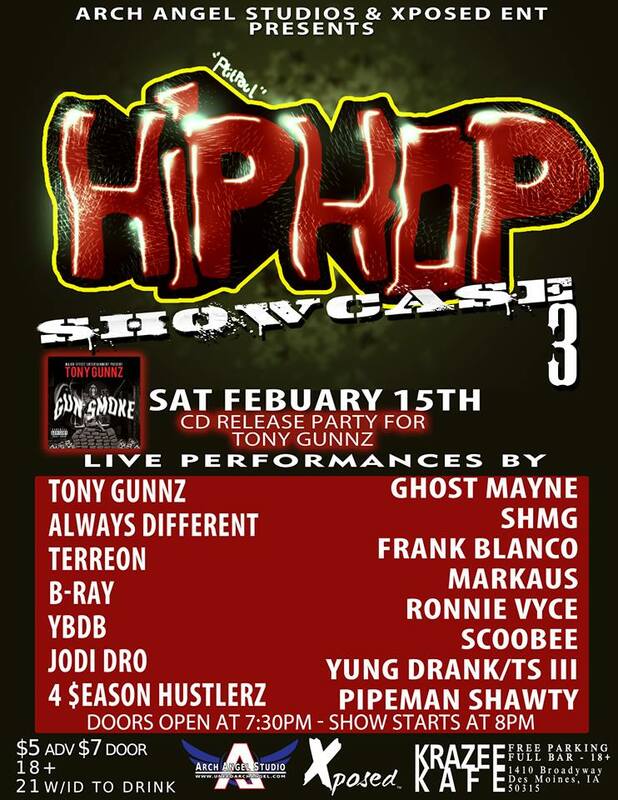 Arch Angel Studio and Xposed bring you the 3rd in a series of hip hop showcases Live Feb 15th at Krazee Kafe.